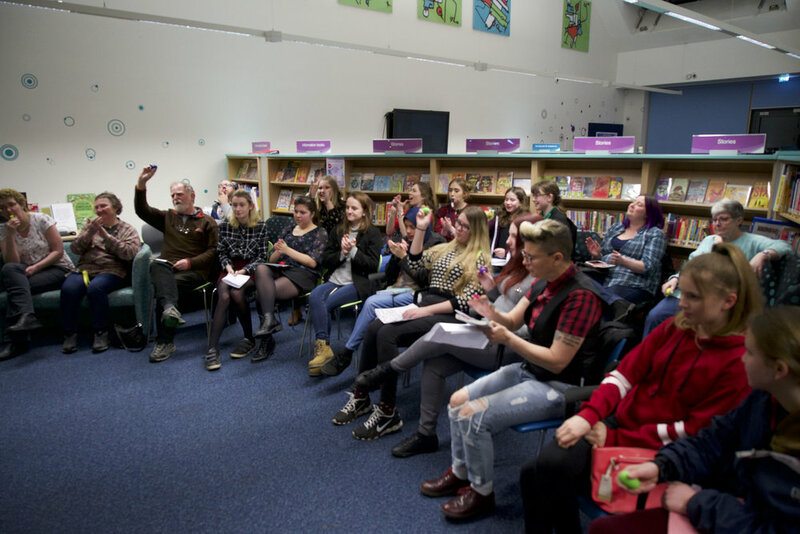 Last month, the Human Writes poetry team hosted a Poetry Slam in Patchway Library. 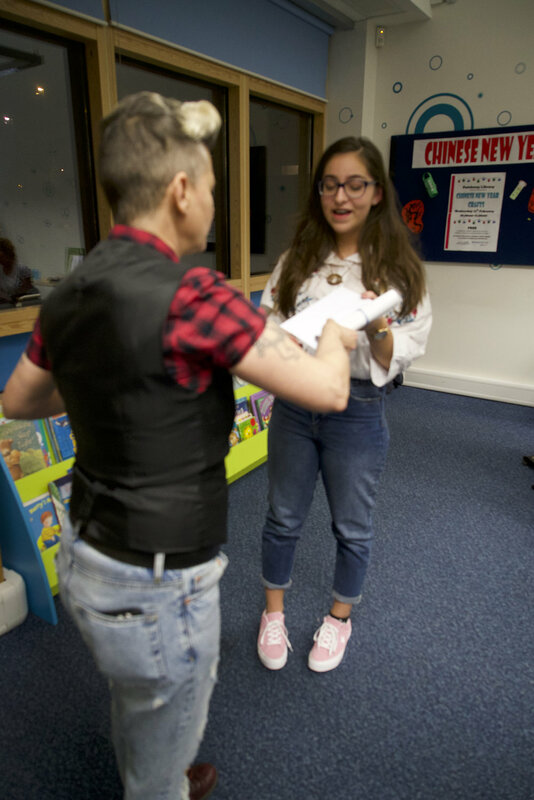 The event, hosted by the brilliant Joelle Taylor, saw students from Patchway School, Bradley Stoke School and AbbeyWood School perform their individual and group poems to a loud and excited audience of friends and family. The Human Writes Young Poet Laureates recruited other young poets in their schools to perform. With lots of evocative subjects being covered, from the environment to personal struggles, the Slam showcased some promising emerging talent in South Gloucestershire. Joelle Taylor, who acts as a mentor to the Young Poet Laureates from each school, kept the audience entertained, asking them to contribute in typical slam tradition with whistles and shakers. The winners were decided by a panel of judges that consisted of Joelle, Lyndsay Davies - Human Writes Project Manager - and Alison Catlin, the Public Art and Cultural Events Co-ordinator for South Gloucestershire Council. The individual winner was awarded to the fantastic Danni Saktoa, with a special commendation going to Julia Hayes for her powerful writing. The group winners were from Bradley Stoke Community School with a brilliant performance led by their Young Poet Laureate, Sophie Wembridge. The event was a great success and even included a special performance from Patchway Community School's Katie Welch who performed one of her own songs during the interval. The Human Writes Project aims to see libraries used as arts spaces whilst raising the profile of poetry in schools and communities. The Laureates, awarded their titles in 2017, have been championing poetry around their schools since the beginning of the academic term, running Slams, clubs, competitions and more.